Disneyland theme park is the ultimate fantasy land, and like any dream world, there are many facts about Disneyland that have become warped, distorted, or embellished beyond all reason. Knowing the true facts and trivia about the park, however, can help guests understand the richness of the park's history, design, and creativity, thereby enriching their theme park getaway. 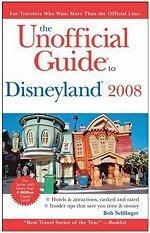 To find accurate, truthful facts about Disneyland, prospective guests should consult several reputable sources. The official Disneyland website is a good place to start, and many fan websites and forums have additional trivia, FAQs, and obscure facts. Travel guidebooks are one of the best sources of verified information, and many guests can accumulate their own repository of facts through frequent visits, observations, and experiences in the park. The facts listed below have been culled from reputable, verifiable sources and were accurate when this article was written. The history of the Disneyland Resort is well documented. Disneyland first opened July 17, 1955, and was the world's first Disney park - Disney World in Florida opened in 1971, and Disney's California Adventure opened in 2001. In its more than 55 year history, the park has entertained more than 515 million guests. The Disneyland Monorail was the first daily operating monorail to open in the western hemisphere when it debuted in 1959. The top floor of the fire station on Main Street USA was Walt Disney's private apartment during the park's construction. It is still furnished but is not open to the public, though a light is left burning in one of its windows each day in tribute to Walt. The original price of the park's land and initial attractions was $16 million. The drawbridge on Sleeping Beauty Castle is real and has been raised and lowered twice; once when the park first opened, and again in 1983 when Fantasyland was rededicated. The Matterhorn Bobsleds coaster was the first tubular steel roller coaster in the world when it opened in 1959, and as such it revolutionized the design and construction of roller coasters. The geography of Disneyland is easy to find facts about. 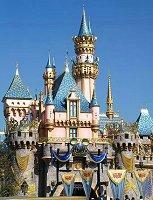 Disneyland is located in the city of Anaheim, 35 miles southeast of Los Angeles. The park sits on 160 acres of land, but only 85 acres are open to the public. Disneyland consists of eight themed "lands": Main Street USA, Adventureland, New Orleans Square, Frontierland, Critter Country, Fantasyland, Mickey's Toontown, and Tomorrowland. There are hundreds of both popular and little known facts about the Disneyland park. The dramatic centerpiece of the park is Sleeping Beauty Castle, which stands a mere 77 feet tall but looks much larger due to forced perspective scaling architecture. The castle is trimmed in 22 karat gold leaf to ensure it glitters even on cloudy days. Guidebooks are full of Disneyland park trivia. There are 350 miles of fiber optic cable used in Fantasyland alone. Disneyland is home to more than 40 rides and attractions. The Haunted Mansion is home to 999 spooks eager to welcome one more ghost to their ranks. The park is least crowded in mid-January, early to mid-May, and early December before the holidays. The park is most crowded during holidays, on weekends, and during the summer months. The Pirates of the Caribbean ride features 119 animatronic characters, including Captain Jack Sparrow, who was added to the buccaneer lineup in 2006. The 16 minute ride has been one of the park's most popular since it opened in 1967. Space Mountain first opened in 1977 but was completely redesigned in 2005. The It's a Small World ride features more than 300 audio animatronic characters representing more than 100 regions of the world. The King Arthur Carrousel has 68 horses, no two of which are alike and all of which move. The Disneyland Monorail stretches 2.5 miles and takes 9 minutes to make a roundtrip. Guests can request to be seated in the pilot's cabin, which can accommodate up to five passengers. The Fastpass express line system was first introduced in 1999. Tarzan's Treehouse stands 70 feet tall and features 450 branches with more than 6,000 leaves. There is far more going on at Disneyland than what regular guests can see. More than 400 items are collected by Lost and Found each day. On an average day, park guests generate more than 30 tons of trash, though Disneyland recycles 4 million pounds of cardboard, paper, and other materials annually. The park serves 4 million burgers, 3 million fry orders, and more than 1 million gallons of soda each year. For $150, guests can own a piece of Disneyland by purchasing a hexagonal brick that lines the path between Disneyland and Disney's California Adventure. These are just a few of the more intriguing facts about Disneyland. Sharing trivia is a great way to revisit memories or get excited about an upcoming trip.